Today, these potent objects, which reached a peak of artistry in Europe between 1400 and 1700, are still sought after. 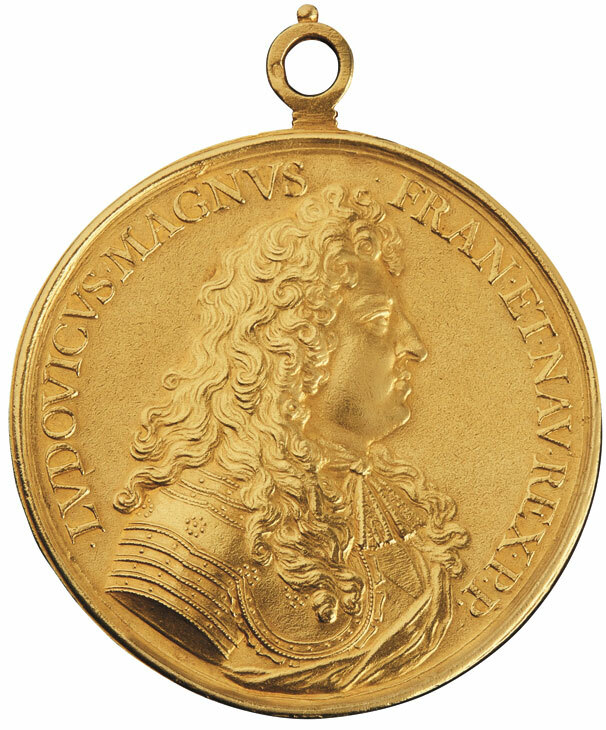 Just last June at Christie’s Paris, a rare gold medal of Louis XIV by the sculptor Jean Warin (1607–72), which specialist Milo Dickinson suggests ‘was almost certainly given to Jean-Théobald de Reinach-Hirtzbach by the king himself’, attracted ‘major interest from museums and private clients’. It eventually sold for €98,500 to the Bibliothèque Nationale de France. 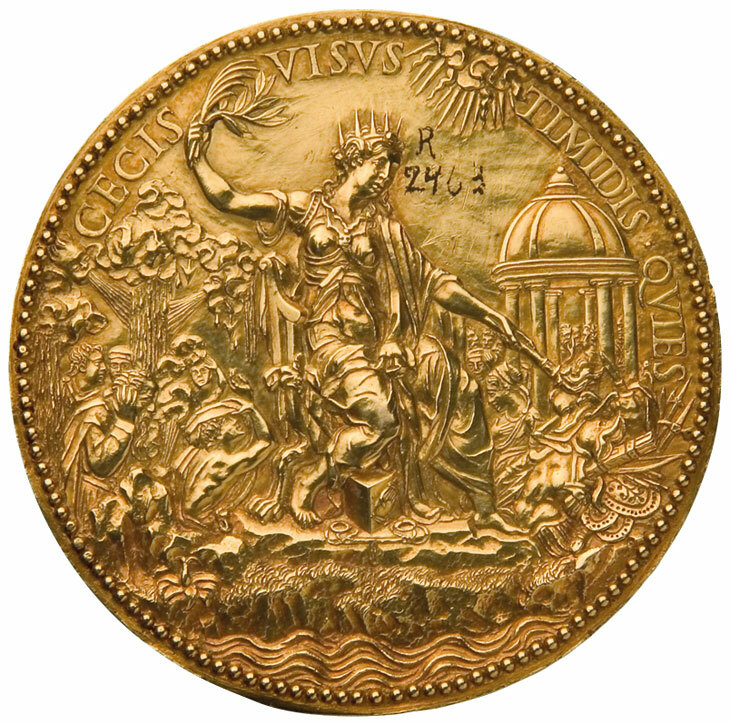 Where coins, as legal tender, are struck by mints with materials, size and imagery fiercely regulated, medals can be cast or struck by individuals in any suitably robust medium, in any size, in any kind of workshop, and have attracted the skills of painters, printmakers, silversmiths, and sculptors alike. The portrait medal, pioneered in antiquity, re-emerged as a distinct art form in Renaissance Europe, a response to the revival of interest in classical civilisations and as an expression of a new secular individualism. In 1390 a medal was struck celebrating the recapture of Padua by Francesco Novello da Carrara, bearing a realistic profile image, in a design modelled on a Roman sestertius. It was so notable an innovation that by 1402 Jean, duc de Berry, had obtained a lead cast copy for his collection. Jean de Berry also owned various contemporary French medals, including two surviving examples depicting Emperors Constantine and Heraclius, possibly by the Limbourg brothers. 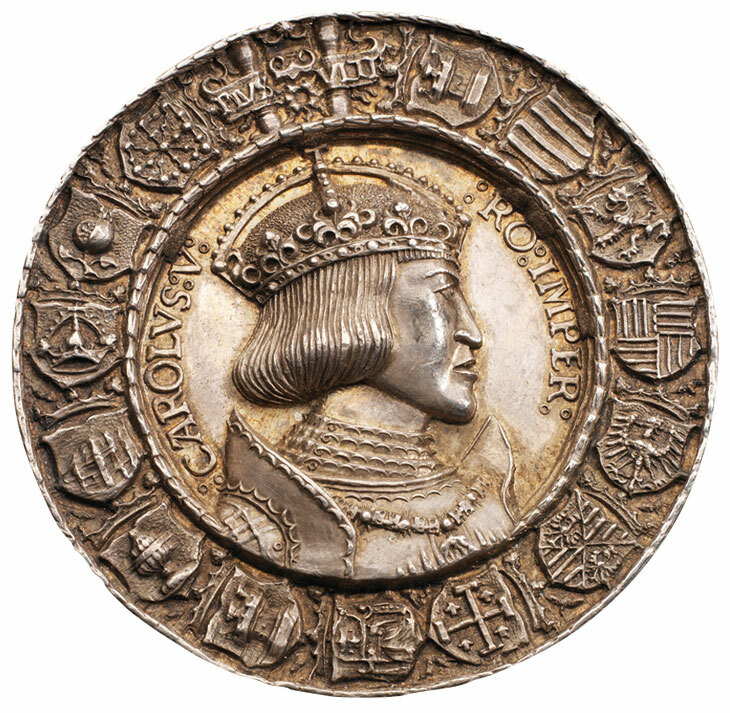 The true birth of the Renaissance portrait medal, however, is usually dated to 1438, the year the northern Italian court painter Pisanello (c. 1394–1455) created the bold, beautiful medal depicting the Byzantine Emperor John VIII Palaeologus, who was at that time visiting Ferrara to gain Western support. 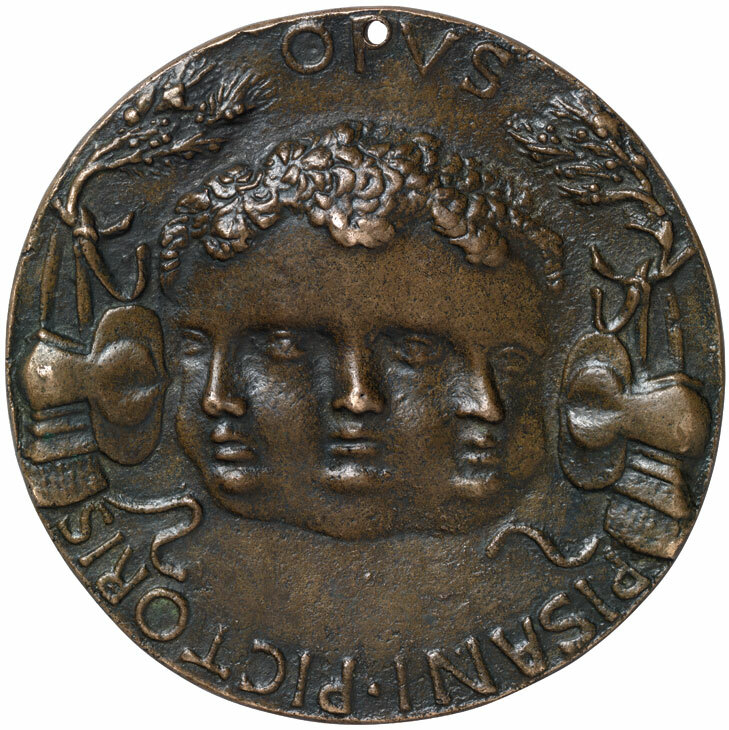 Further medals from the 1440s – of Francesco I Sforza, Filippo Maria Visconti, Leonello d’Este, Gianfrancesco Gonzaga and other Italian princes – sealed Pisanello’s reputation not only for forceful likenesses, but also for the elegant execution of the reverses, with their abstruse symbolism. 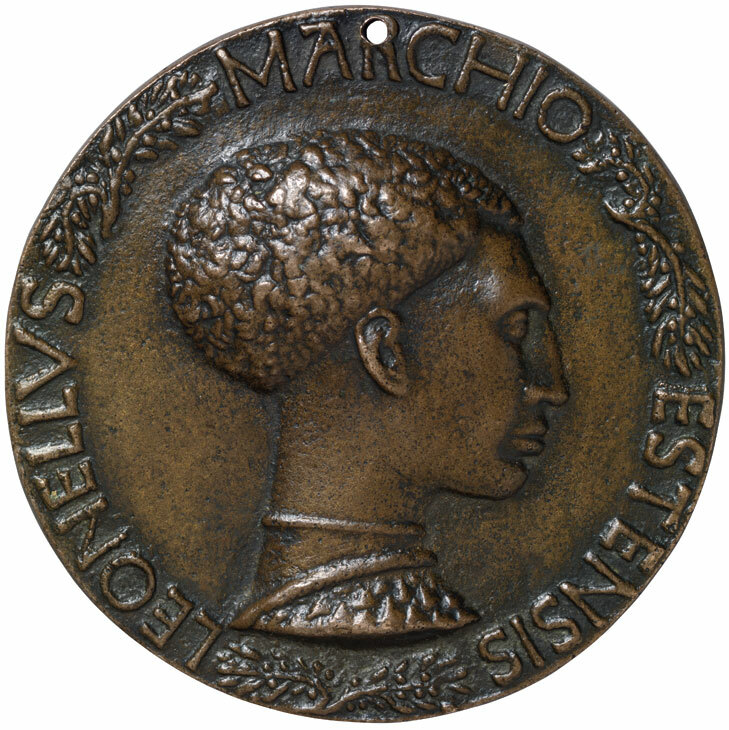 From Pisanello the fashion for medals spread quickly throughout Italy, with leading followers including Matteo de’ Pasti (active 1441–68), who worked for the Malatesta family. 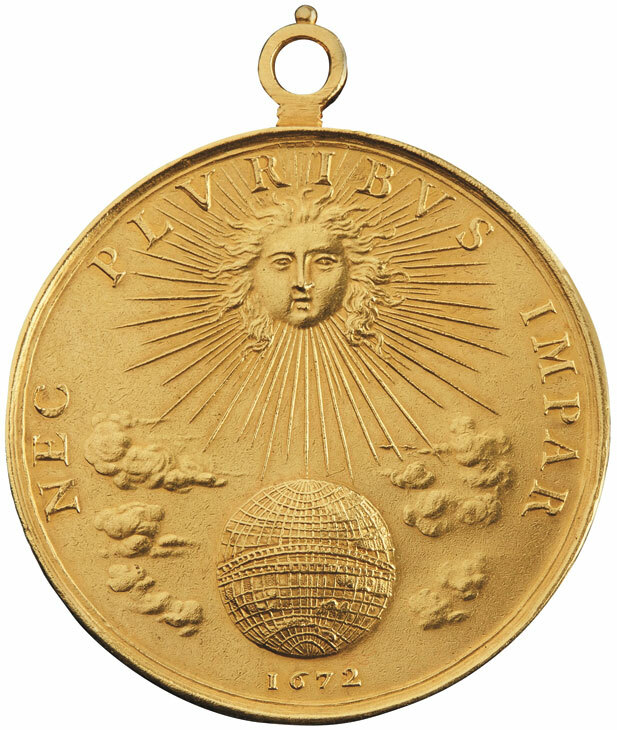 Separate schools were established in Germany, Holland and France, where, in the 17th century, the Sun King Louis XIV saw the potential of this portable and durable medium for perpetuating his glory forever, in standardising medal production put an end to its early engaging diversity. In England it seems Nicholas Hilliard’s preference for the portrait miniature subdued the development of a native tradition. ‘Anyone who is interested in the Renaissance should be interested in medals,’ says Tom Eden, founder of London’s specialist coin and medal auctioneers, Morton & Eden. As well as vivid likenesses of key historical figures, the designs of the reverses express the priorities of the day – whether commemorating battles, mocking political or religious opponents (as in fervently Protestant Holland), or sharing arcane wisdom. Eden remarks that this is a market led by collectors and not by dealers; few specialise in this field where very rare originals or very early casts of well-known pieces can fetch hundreds of thousands but late casts or lesser medals cost as little as £100. Like numismatics generally, with which it is allied, it is a collecting field for connoisseurs prepared to focus on the tiny technical details of the physical objects as well as their aesthetic qualities and historical significances. 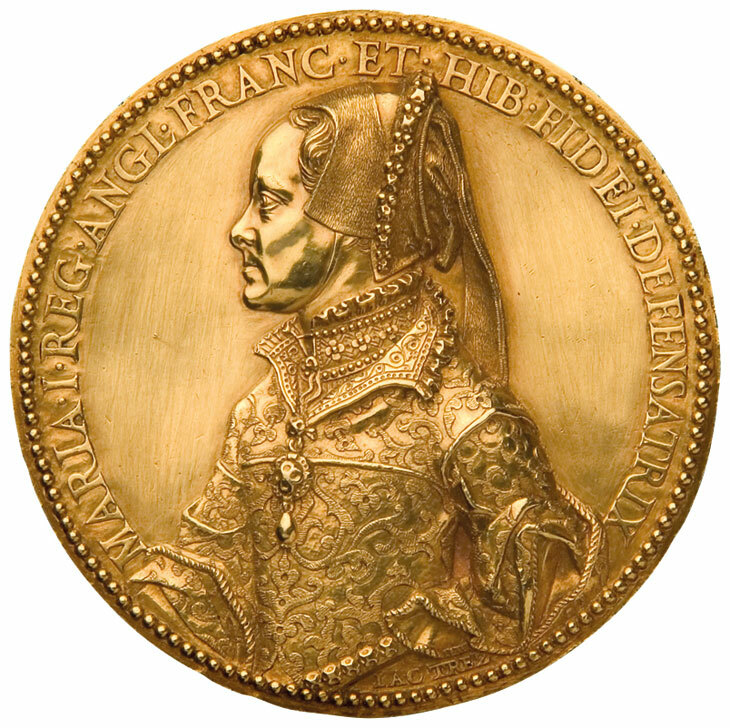 At the 2009 Morton & Eden sale of the Lawrence Stack collection, the top lot was one of only two examples known in gold of Jacopo da Trezzo’s (c. 1514–89) medal of Mary Tudor (£276,000). 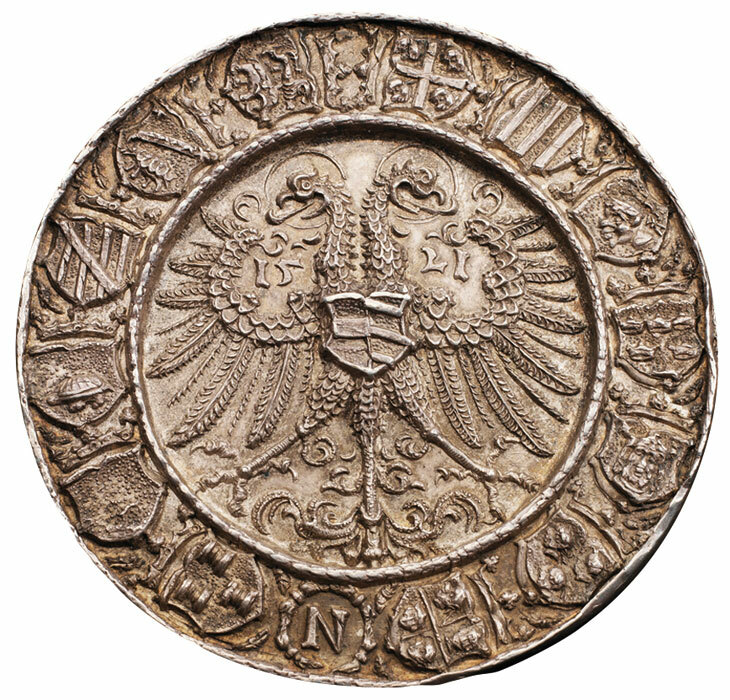 One of the most important medals of the northern Renaissance, Dürer’s medal dedicated to Charles V, Holy Roman Emperor, minted by Nuremberg’s mint master Hans Krafft the Elder (1481–1542) in 1521, of which only 12 silver examples are known, fetched £258,750. ‘The medals from the age of Dürer in Germany, by sculptors such as Hans Reinhardt and Hans Schwarz, have a crispness of form and technical virtuosity that is much admired,’ comments Dickinson. The landmark sale in 2010 at Baldwin’s in London of the Michael Hall collection saw Pisanello’s 1447 original cast bronze medal depicting Cecilia Gonzaga achieve £64,900, while a rare version of the amazingly elaborate 1544 Trinity silver medal produced by Hans Reinhardt the Elder, a goldsmith rather than a woodcarver, fetched £56,640. But these are exceptional prices for the rarest prizes. Today, London dealer Benjamin Proust has available a beautiful Pisanello bronze medal of Leonello d’Este with a three-faced putto on the reverse, which he showed at TEFAF Maastricht (around £6,500), while Kunstkammer Georg Laue offers a bronze medal with the portrait of Swiss Protestant reformer Ulrich Zwingli by Nuremberg sculptor Georg Schweigger (1613–90; €14,000). Dutch dealer Joseph Estié of Salomon Stodel, meanwhile, has a fine French medal from 1630 by Warin of Cardinal Richelieu, with an allegorical scene of France in triumph on the reverse (€2,900). Paul Bosco, based in New York, specialises in medals of all kinds. He says of his largely European and North American clientele: ‘The best collectors are aware how hard it is to get any good Renaissance piece, and will add to their collections as opportunities permit.’ Just last year Morton & Eden held a mixed sale including medals once owned by Timothy Clifford, former director of the National Galleries of Scotland, with many affordable examples.